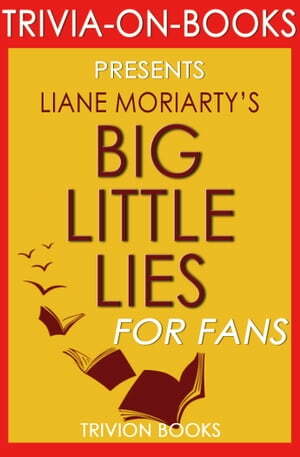 Collins Booksellers - Big Little Lies: A Novel by Liane Moriarty (Trivia-on-Books) by Trivion Books, 1230001208986. Buy this book online. Liane Moriarty will take you on a roller coaster ride with the secrets of the three women with her latest novel Big Little Lies. Madeline is a mother of three, forty and struggling to keep her daughter from a previous marriage. Celeste is a beauty with a "perfect life" while Jane is a single parent to Ziggy - new to town and trying hard to fit in. Trivia-on-Books is an independently curated trivia quiz on the book for readers, students, and fans alike. Whether you're looking for new materials to the book or would like to take the challenge yourself and share it with your friends and family for a time of fun, Trivia-on-Books provides a unique approach to Big Little Lies by Liane Moriarty that is both insightful and educational!